Block Leaders are an integral part of the Healthy Block Initiative. They are the neighbors who step up and organize the block to submit the pre-applications and final applications. 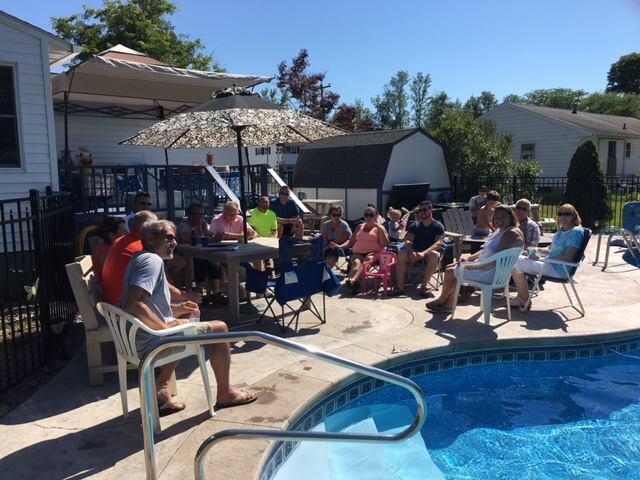 They open their homes to neighbors and gather everyone together to talk about final projects, the mid-season parties in parks or cookouts in back yards, and coordinate opportunities for neighbors to offer each other help with projects or tools to make the job easier. They are the backbone of the organization and they do it because they care about their neighborhoods and the well-being of our city. For that, Block Leaders, we thank you. Let us introduce you to two more of our Block Leaders, Mike MacDougall (L) and Stephen Bollenbacher with Donna Russell (R). Check out the improvements to their properties! Have you seen these signs popping up in Fulton yards? We did it a little different this year. 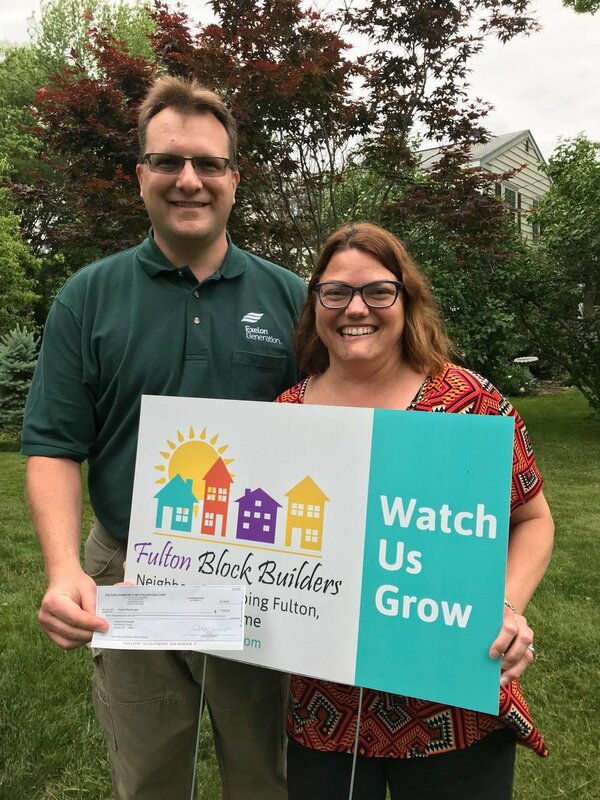 We asked homeowners who were awarded grants to plant the signs in their yards so we could all watch the project progress. You may see a new porch, an upgraded driveway, windows, mailboxes, landscaping, new front doors painted brightly or even something simple yet lovely, like bright and colorful flowers planted in the yard to admire year-after-year. No matter what, you are definitely seeing homeowners and landlords take pride in their homes and their neighborhoods. Here are a couple of great examples in Zone 6. 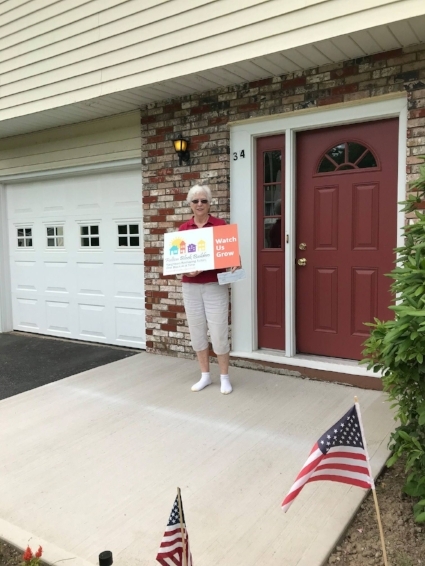 Roberta added a new front stoop, which means a safer entryway when friends stop by. 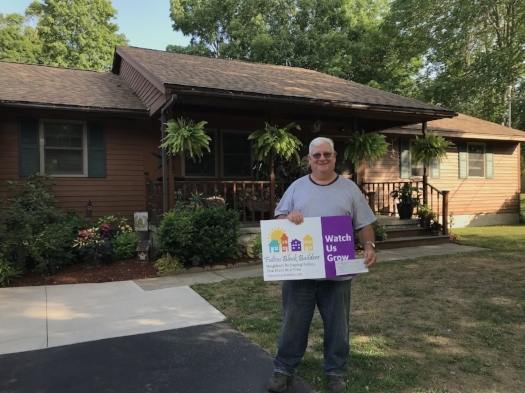 Barbara added a beautiful new porch to their home, which means additional sitting space to admire the view. Congrats to you both! So, keep your eyes on the curb appeal that is happening this summer. Good people making great changes.